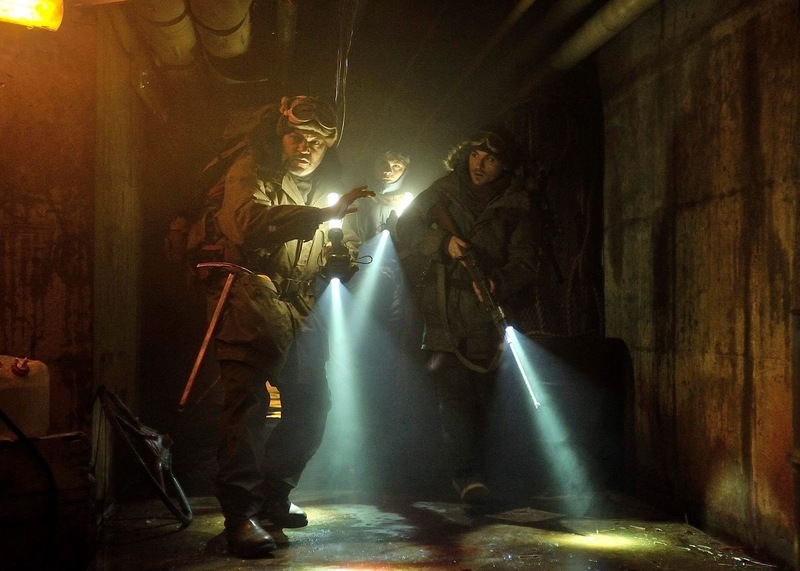 We are told in the narration that Sam(Kevin Zegers) is doing in the film that "The world froze along time ago, so long ago that I cannot remember the warmth of the sun" They are locked beneath the earth in a bunker and are very wary of anyone below even coughing or sneezing-they are then quarantined. 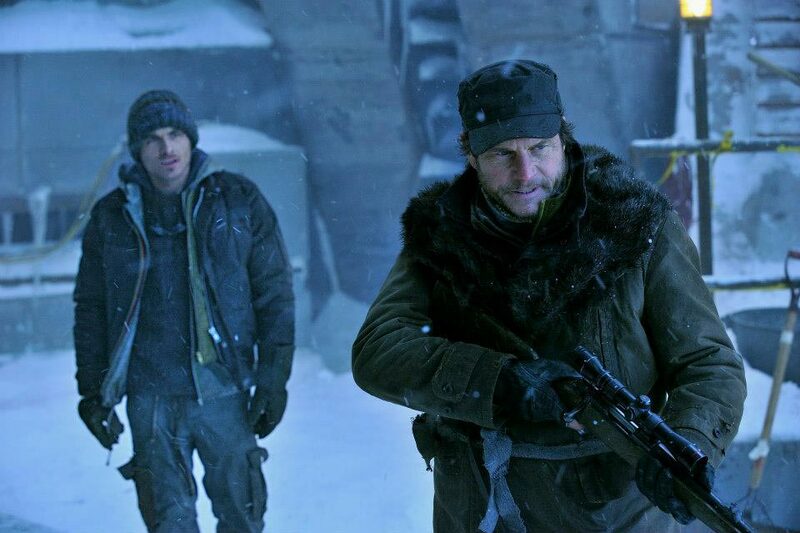 Mason(Bill Paxton-front) tells Sam(Kevin Zegers_back)that the man he is going to shoot is sick but in their world the person has the choice of a bullet or to walk away deep into the cold snow, Mason makes their decision for them. 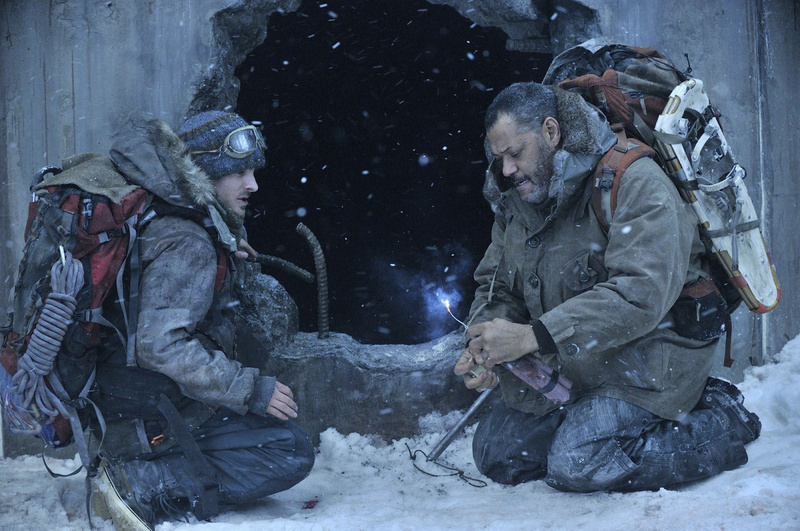 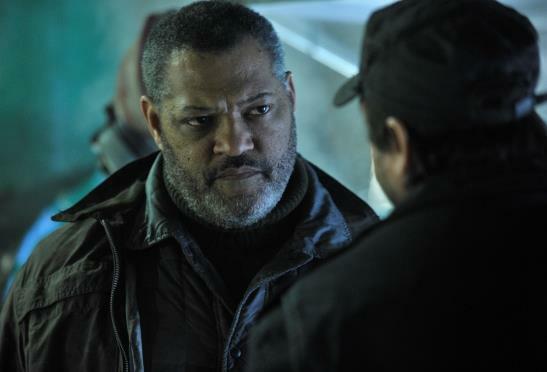 Questioning his actions is Briggs(Laurence Fishburne)the commander of "The Colony" and an ex serviceman that served along Mason in "The War". Soon there is a distress call from another of the Colonies and Sam, Briggs & another young man from the group Graydon(Atticus Deam Mitchell) are on their way to see if there are any survivors. 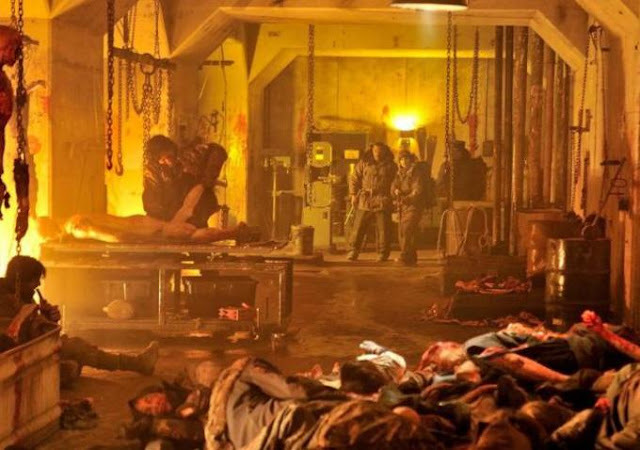 There are of course some survivors that are no longer considered human-they are but they are more animal now and cannibals. 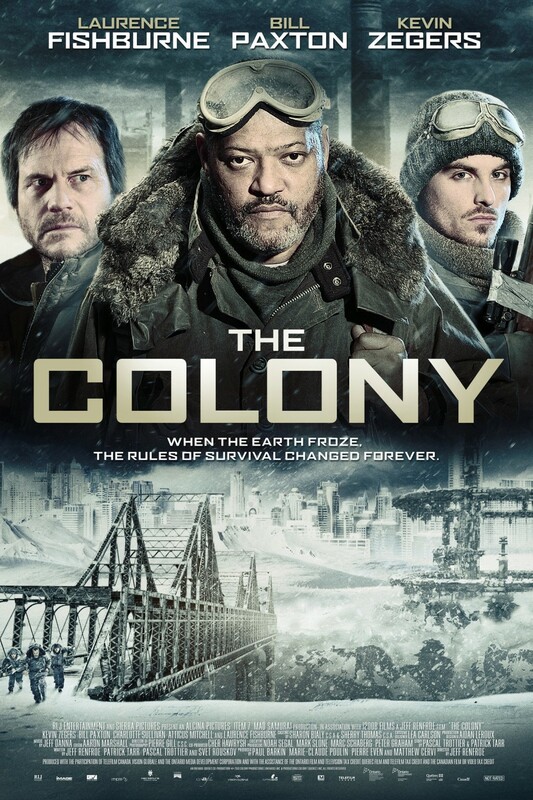 This works well not great by any means but this was far more entertaining than the other film I watched tonight. 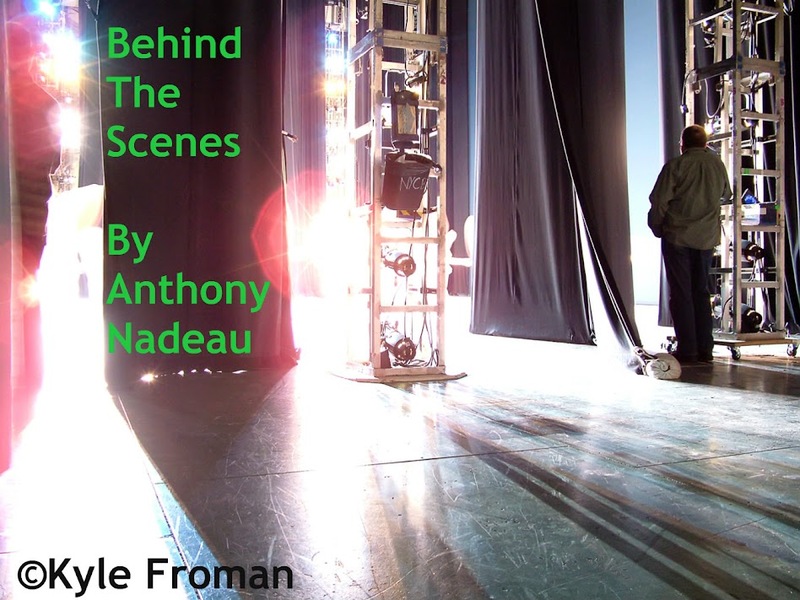 Now before I watched the film I watched the "Behind the Scenes" segment truth be told those were always my favorite I will even watch them if I do not even care for the film and the main reason this blog you are reading has the title that it does.